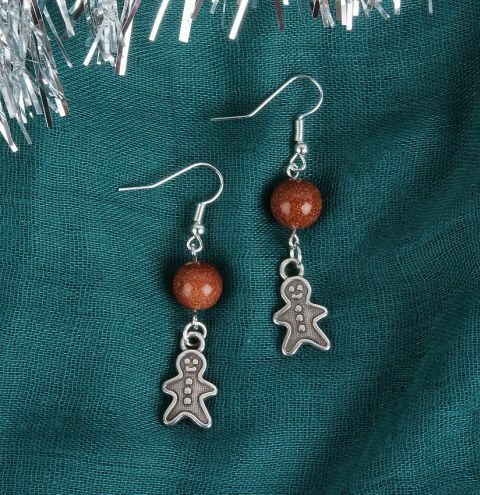 Make a cute pair of Gingerbread Men Earrings for the holidays using these adorable charms and glittery goldstone gemstone beads! You'll look fab wearing these on Christmas day! Link a jumpring through the gingerbread men charms. Insert an eyepin through a bead, trim and turn a loop. Attach a charm to one side of the eyepin and the earwire on the other.